The Liberty 3 in. Satin Chrome Brass Wire Pull features clean lines and a contemporary finish to add modern style to your kitchen or bathroom cabinets. Comes with 8-32 in. x 1 in. machine screw. Easy to install. The Liberty 3 in. 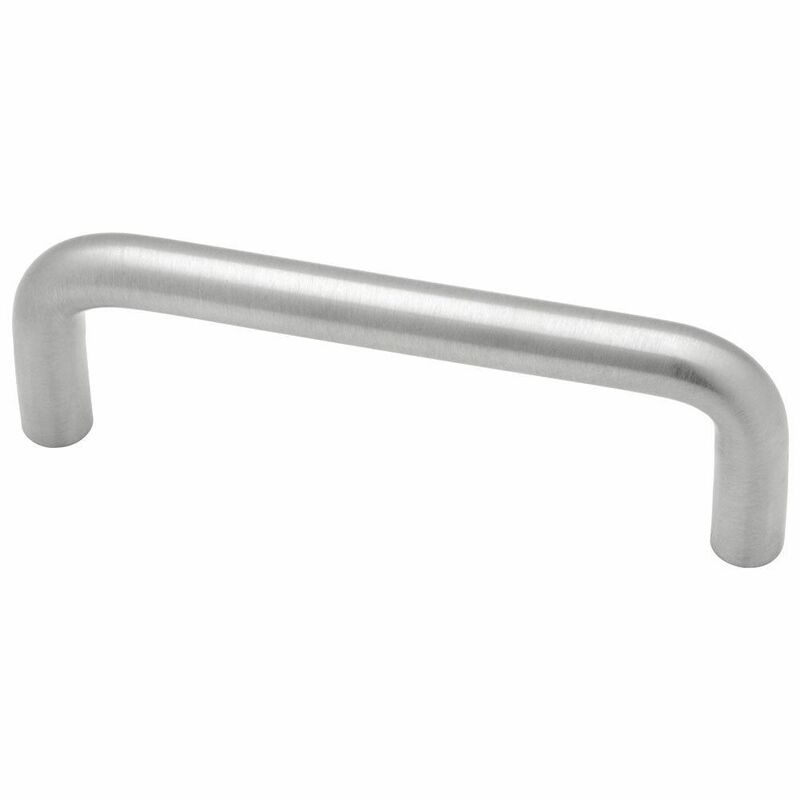 Satin Nickel Cabinet Pulls (10-Pack) feature a sturdy die-cast zinc construction for durability. Ideal for use as an accent for kitchen or bathroom cabinetry or furniture. Mounting hardware included for easy installation. 3 in. Wire Pull The Liberty 3 in. Satin Chrome Brass Wire Pull features clean lines and a contemporary finish to add modern style to your kitchen or bathroom cabinets. Comes with 8-32 in. x 1 in. machine screw. Easy to install. 3 in. Wire Pull is rated 4.7 out of 5 by 3. Rated 5 out of 5 by Brent from A style we keep coming back to. Simple and functional.... A style we keep coming back to. Simple and functional. No awkward corners to snag your pants pocket in passing. Plenty of room for your knuckles as you reach in and grab. Rated 4 out of 5 by DKM from We have been looking for sometime for a satin silver wire pull with 3" centers - at last ! We have been looking for sometime for a satin silver wire pull with 3" centers - at last !